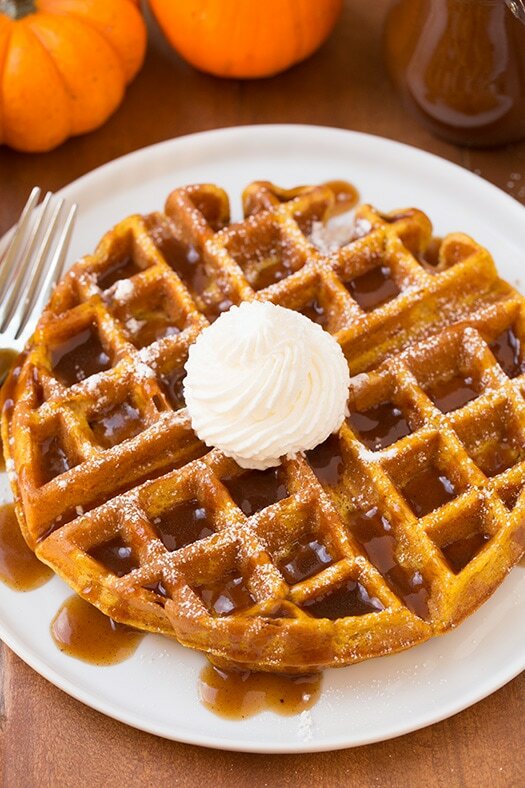 I’m loving fall breakfast lately! I save these kind of recipes for the weekend and it always gives me something to look forward to. 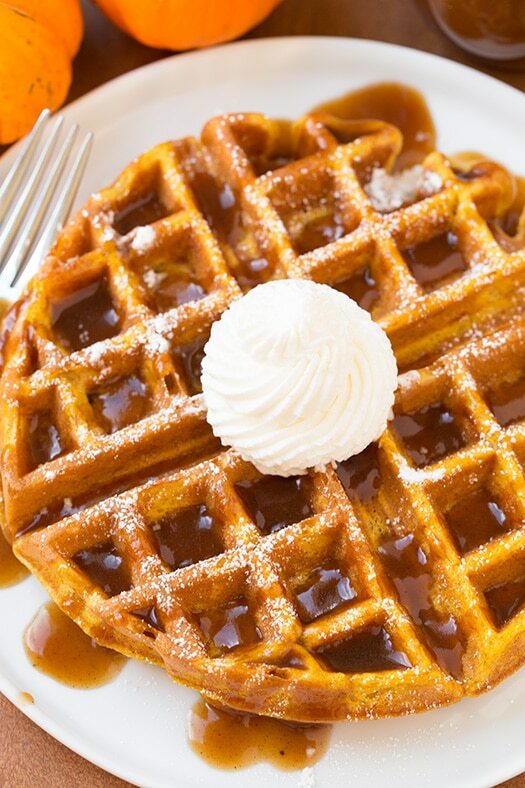 These waffles are one of my favorite fall breakfasts especially when topped with this incredibly delicious Apple Cider Syrup and a little sweetened whipped cream. 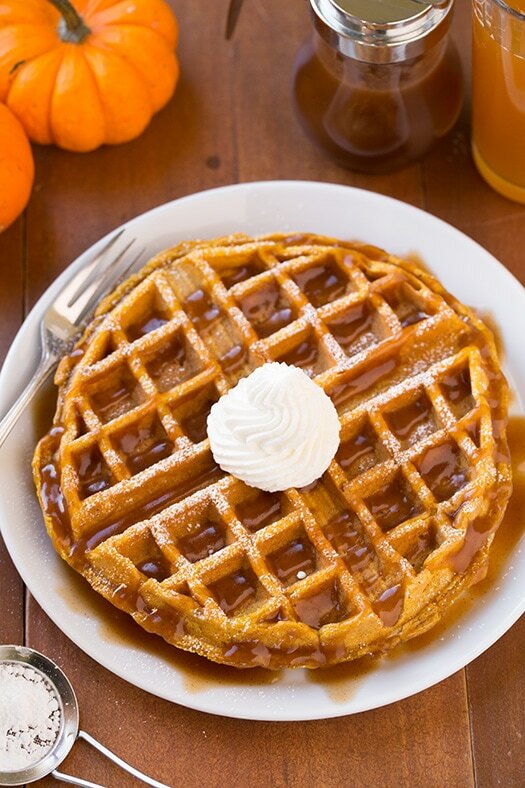 The flavor combination of the two is simply irresistible and it couldn’t be more fall inspired. 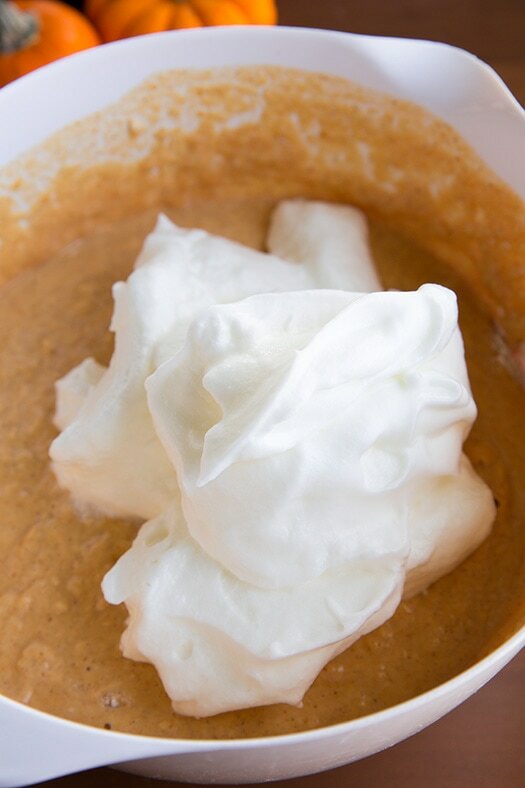 Don’t skip the step of separating the eggs and whipping the whites in this recipe. 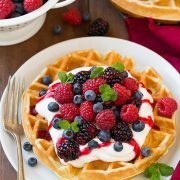 Using the whipped egg whites will give you a fluffier, not so dense waffle. It may seem tedious, and more what I’m thinking is one extra dish to clean, but it’s worth that extra dish. It really just creates such a light and fluffy batter. Also, if you don’t plan on serving the waffles with the Apple Cider Syrup then you could definitely up the spices a little if you’d prefer (I don’t think it really needs more but some of you may). 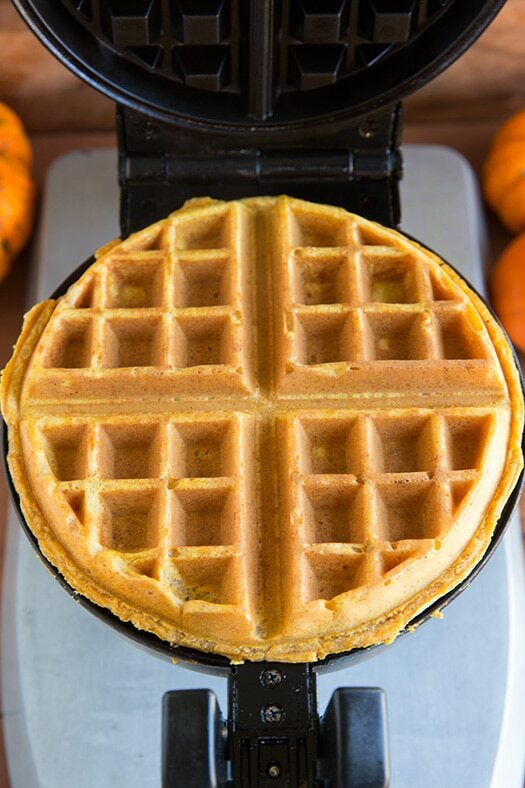 The perfect fall waffle recipe! These are packed with pumpkin and spices flavor and they're melt-in-your-mouth delicious! 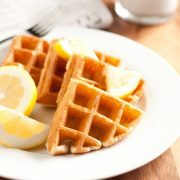 Use a Belgian waffle iron or standard size waffle maker. 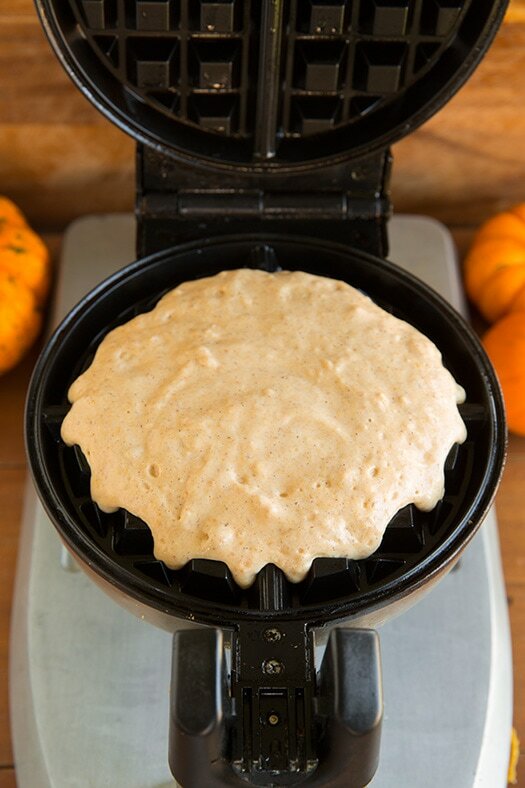 You can keep waffles warm in a 200 degree while finishing off batter. 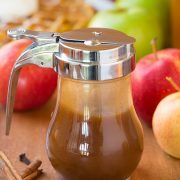 Follow link HERE for Apple Cider Syrup recipe. 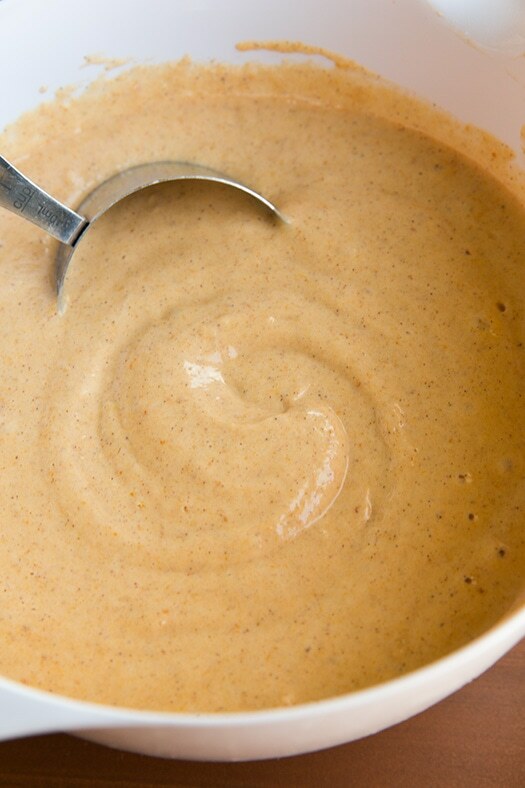 Jeff: This is a great recipe, they were a big hit. I made a few substitutions that made sense to me and I was super happy with the results. I substituted 1 cup of whole wheat flour for regular, melted butter for oil, tripled the vanilla and used Mexican vanilla, and added about a half teaspoon of ground cloves. Amy: Wow!!! These were so tasty the girl gobbled them right up and couldn’t stop raving about how good they were! We had a lot of batter leftover so we refrigerated it and had pancakes the next morning. I must say, they put regular pancakes to shame. The girl doesn’t want regular pancakes anymore :) and I’m ok with that! Morgan Ocetnik: Hi I’m Morgan Ocetnik and I’m a high school student that writes for our school magazine! 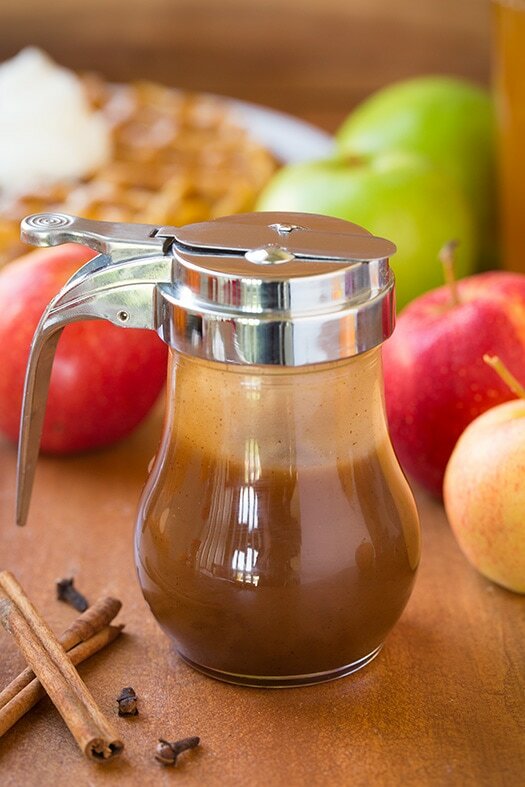 I’m doing a fall recipe page and would love to feature this recipe and the pictures you used. Can I have your consent to use them? I will give you recipe and photo credits!